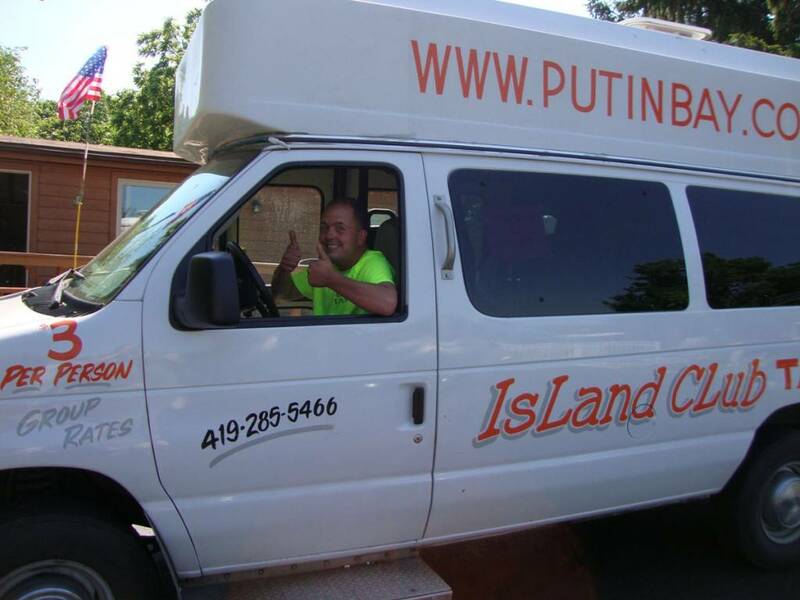 Island Club Taxi Service on Put-in-Bay is the islands preferred transportation provider. We want your visit to be a pleasurable experience. Our drivers strive to give the best service with a smile possible. To get a ride now, call 419-285-5466! Island Club Taxis specializes in weddings, conventions, groups, school groups, business meetings, family reunions, and tours. We’ve even been utilized for weddings. This has included transport of the bridal party, to and from the reception and ferry transport. Let us do the planning for you and make your event worry free! To make arrangements for your group or just to ask questions about our special group services, contact us via email at reserve@putinbayreservations.com or call 216-898-9951. Our taxi service has been serving Put-in-Bay and South Bass Island since 1997. As members of the Put-in-Bay Chamber of Commerce, the company and its drivers volunteer our time to many worthwhile events on the island. Furthermore, our drivers are pillars of the community. They strive to bring good to the island. The Island Club Put-in-Bay Taxi fleet is comprised of 15 passenger vans. Each is adorned with our famous Island Club logo. So, just look for the palm trees and orange lettering. Our drivers are friendly and professional. Moreover, most of them have many years experience as an island cab driver. Nearly all hotels alert guests of the lack of parking on the island. This is especially true in the downtown area. Most of the bars and attractions are located here. Island Club Taxis will meet you at the ferry boat of your choice. Moreover, they will handle all of your luggage and camping gear for you. Our normal business hours are 7:00 AM to 3:00 AM, seven days a week during season. Contact us via email at reserve@putinbayreservations.com for further information on Island Club Taxis, or call 216-898-9951. When you are on the island, call the taxi direct at 419-285-5466 for service!